The Code of Conduct Tribunal today issued a warrant of arrest for Justice Walter Onnoghen, the estranged Chief Justice of the Federation. This has raised a lot of questions as to the place of the Tribunal in the Judicial Hierarchy. On the 14th of January 2019, Nigerians woke up to the news that the Chief Justice of Nigeria, His Lordship Justice Onnoghen was to be arraigned before the Code of Conduct Tribunal on the allegation that he failed to declare his assets. Seizure and forfeiture to the State of any property acquired in abuse or corruption of office. 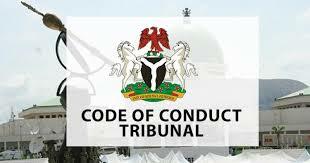 On whether or not the Code of Conduct Tribunal is empowered to exercise judicial powers, reference is made to the Constitution which placed the duty of adjudicating matters in the hands of the Judiciary; headed and supervised by the Chief Justice of Nigeria. Also, one may also argue that in addition to the 9 (nine) Courts listed in section 6(5) of the Constitution, the Constitution only recognizes a Superior Court of record as may be prescribed in an Act of the National Assembly; and a Superior Court of record as may be prescribed in a Law of the House of Assembly of a State. 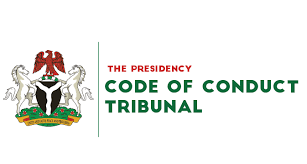 Recently the Code of Conduct Tribunal stated in the Justice Onnoghen case that it is not bound by the decisions of the High Court as they are all Courts of Equal Jurisdiction, but only the decisions Court of Appeal and Supreme Court. The Court of Appeal is however yet to make a pronouncement on the above and it would be interesting to know the outcome.